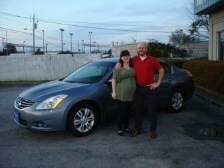 Thanks to Jesse and Mr. Allen for a great deal on the first car for my granddaughter. She is thrilled. Great folks to work with and a quality product. I wanted to let you know that I got back to Lubbock safely. 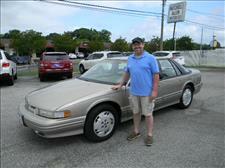 The Oldsmobile is a great car and I am very happy with it. It only took a tank and a half of gasoline for the 1000 mile trip! Thank you both for everything. 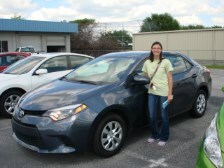 This was definitely the best car-buying experience I have had without a doubt. It was wonderful meeting both of you, and Johnny as well! Thank you again for your hospitality and generosity. 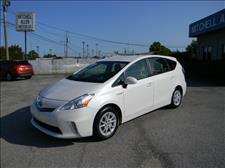 Just purchased a 2013 Prius V from them. Very nice people and great service. 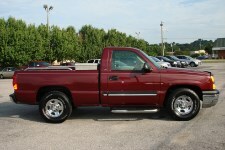 I would recommend to anyone that my be looking for a vehicle to reach out to Jesse.  I had a great experience at Mitchell Allen Motors. Mr Jesse and Mr Johnny were both very helpful and answered all my questions. Very far from the typical car salesmen. I will definitely refer anyone I know looking for a new vehicle to Mitchell Allen. 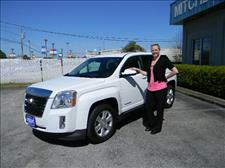 I love my new GMC!!! Bought my very first car from Mitchell Allen motors yesterday. Fabulous experience and a sign of relief after I walked off three previous lots due to pressure to buy or cars in my price rage was wreaked and not properly repaired,not clean or had interior damage. Jesse helped me find my dream car!!! 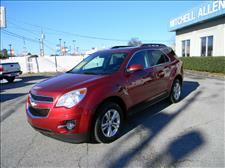 I got a Chevrolet Equinox, it is perfect for my family and drives like your on a cloud. "Looks brand new and dives new" I couldn't of gotten this quality or deal anywhere else. I feel my family is safe in this car and it's super easy on the eyes. Jesse made my first car experience a wonderful ordeal and I'll be using Mitchell Allen for the rest of my life. ??? love love love my car! Thank you Jesse and the staff at Mitchell Allen motors! Really happy with my new ride. Low miles and great price. It was great dealing with Jesse. Very friendly and personable. I highly recommend. 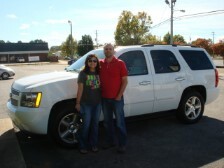 After an extensive two week search for the right vehicle that included several New Car dealerships in Montgomery, AL, and other cities Rena and I came upon Mitchell Allen Motors. We had actually driven 3 hours one way the day before to get a vehicle in McDonough Georgia, but found the dealership to be dishonest in their dealings, rude, and uncaring about the customers needs. It was a great pleasure it was to meet Jesse and immediately feel his concern for what we needed and to be treated in such a professional and courteous manor. We found just the car we were looking for and he made it so easy for us to decide to do business with such an honest establishment. If you are looking to buy a used car, truck, or van, then I highly recommend you start your search at Mitchell Allen Motor Company. It will save you time, money and stress knowing they really care about their customers. I want to thank Mr. Jesse for doing all he could to get me approved for my 2012 Hyundai Santa Fe and I also want to thank you for all your time and patience. 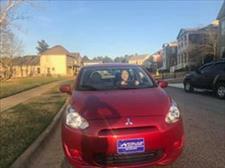 I would recommend anyone that's looking for used or new car with low mileage. This is the place for you. Very friendly and patient people. In my driveway, on a dreary day in winter here in Pittsburgh Pennsylvania sits my( new to me) convertible. So anxious am I, that I found my self riding with the top down last Friday night in twenty three degrees. I want to express to Mitchell and Jesse my gratitude to them and the employees of the Mitchell Allen Motor Co. As a very long distance buyer, it was imperative that I was able to rely on them to be completely forthcoming in the appraisal of my used vehicle. 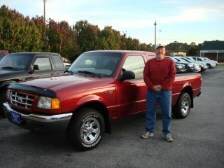 The purchase of a used car is much more difficult and potentially stressful. One must trust that they have done there level best to qualify the car. This endeavor can be difficult. Through my telephone conversations and e mails, I came to believe that although they were "used car salesman" , they were also men driven by there quest to be honorable in all of their actions, business and otherwise. I am the winner in the long distance purchase having driven over sixteen hundred miles round trip to pick up my beautiful convertible. It was an absolute pleasure doing business. Jesse Greenberg and Mr. Allen went above and beyond to get us the deal we wanted on a pristine 2015 Chevy Malibu with only 13,000 miles and got us exactly what we needed, and then some, for our trade in. I couldn't have asked for a better deal. I assure you, we'll look forward to doing business with Mitchell Allen Motors in the future. Jesse, I can't thank you enough for all you did. I won't forget it. Loving my Maxima! Thank you both for your excellent service! I absolutely love Jesse and Mitchell! We just bought our fourth vehicle from them. I hate doing business with anyone else. They're honest, friendly, and they take care of you. I recommend them to everyone! This was my first time buying a car and the experience was such a pleasure! I was dreading the car buying process but the guys here are wonderful! Definitely recommending Mitchell Allen Motors to anyone looking for a new car. 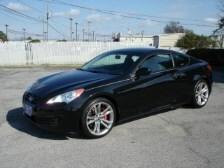 I just bought a Hyundai genesis for my son who lives out of state, I relied on jesse and Mitchell to make my car experience wonderful and hassle free. they made it happen. that's why this is my second car purchase within 3 years. 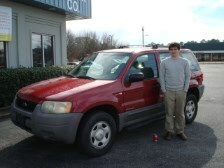 Jared and I had a wonderful experience at Mitchell Allen Motor. 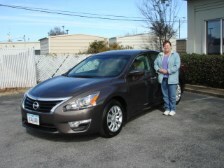 Jesse was a huge help to us and pointed me to the exact car to fit my needs. I'm very pleased with how smoothly everything went and when the time comes to get a new (used) car, I know who I'll check with first. I absolutely dreaded the car buying/trading experience, but then we had the pleasure of dealing with Mitchell Allen Motors. They represent exactly what the car buying experience should be. 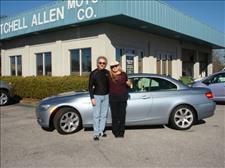 It was a no pressure buying experience and Mr. Allen was completely up front and honest about everything. 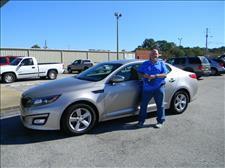 I would recommend Mitchell Allen Motors to any and everyone. Jesse even showed me how to PROPERLY install my 2 car seats because I didn't have them as secure as they should be. It felt like I was dealing with people I had known my whole life. 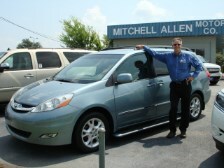 Again, if you're in the market for a used car make Mitchell Allen Motors your first stop. 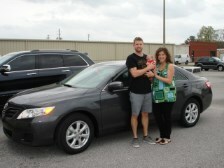 Bought my 2010 Lexus from Mitchell Allen. Through the process, I couldn't have asked for anyone to be more helpful. Jesse answered all my questions and guided me through the process. I will definitely be a repeat customer and will refer family and friends. I purchased this vehicle in 2013. Its been the best car I have ever owned. I only had one problem with it and Mr. Mitchell helped me take care of it. I will deal with him again and will bring in more friends. 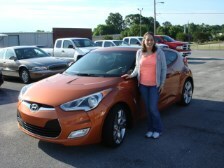 My wife an d I have bought no less than 7 vehicles from Mitchell Allen Motor Co in the past 12 years. Mitchell and Jesse have always treated us like part of their family from the moment we first set foot on the lot. There have been a couple of times we had an issue with a vehicle, but they have always gone way above the level of service expected when dealing with a car lot. There is not a dealer in town that will give you the old time, down home treatment that you will receive from them. In today's world it is hard to get the service you expect for such a major purchase, you will not be disappointed if you choose to do business with Mitchell Allen Motor Co. This is truly the first time I have sent in a review but Jesse and Mr. Allen worked with me every step of the way. More than they probably even should have. I'm from out of state and they could really tell I wanted this car and they worked with me till I was able to get up there. With out telling too much they were very trusting in me and which in return they earned mine. I don't live in Alabama but I will definitely refer friends and family. I can't thank you guys enough!!! 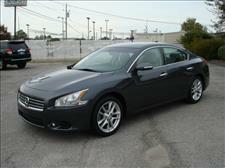 Thank you for helping us find this Infiniti M37S. 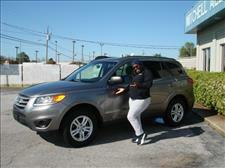 I appreciate your help also in financing this car at a great rate. 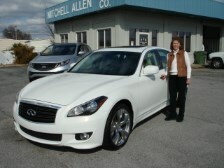 Mitchell Allen Motor Co is the best place to purchase an automobile! Thank you. Wonderful experience! 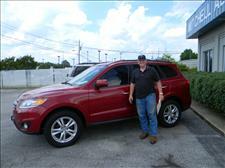 Got the vehicle I wanted at a great price, and Jesse and Mitchell couldn't have been nicer or more helpful! Will remember this company in the future! And since I was driving back to Iowa, drove right into an Iowa blizzard and broke this car in right away!!! They provided top notch friendly customer service. 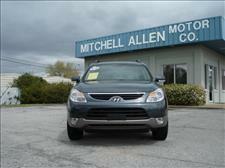 I highly recommend buying from Mitchell Allen Motor Co, they have great deals on all cars, trucks, and SUVs. 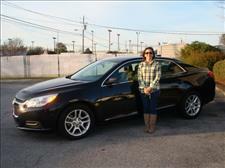 I bought a car for my daughter who lives out of state at Mitchell Allen Motor Company. I had a price range in mind and the type of car. 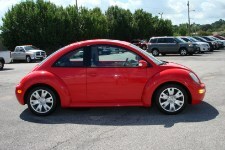 Within a week, they called me about the car and price, which I agreed. 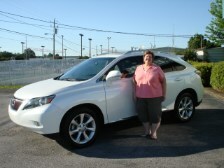 I got great financing and my car buying experience was wonderful. I also got a LIFETIME POWERTRAIN WARRANTY with the car. I like the folks at Mitchell Allen Motor Co and feel they were honest and forthcoming in our transaction. That is hard to find. THanks to all!